Completely agree Brassard was just on the wrong team and those picks are nice but McCann and especially Bjugstad are nice depth for a contender. Pittsburgh is stealing players again. Wow! This is why Jim Rutherford is going to the Hall of Fame and why the Pens have won 2 of the last 3 Cups. Rutherford moved a third line center who was a TERRIBLE fit (and who complained privately but constantly about his role) and a fourth line center who was a marginal fit at best…BOTH of whom were on expiring contracts and were not going to be back with the team next year plus a 2nd and 2 4ths for two good young players who fit the cap and have term. Unless it’s another Smith/Marchessault style salary dump, why did the Panthers make this deal? Do they think Brassard will be any happier playing behind Barkov and Trocheck? The panthers did this for money. The Penguins barely upgraded, if at all, and gave up picks to do it. This makes no sense for Pittsburgh. I agree with you joshbell. Just like they did in the Hagelin-Pearson swap earlier this season, the Pens managed to get affordable term with upside in exchange for expiring assets. They may not have a second or third round pick for this year’s draft at the moment, but it’s important to realize that this team needs to capitalize on their window now. That they managed to improve for both now and the foreseeable future is really a credit to Jim Rutherford, one of the best in the game. 1) Pittsburgh fans are always convinced Rutherford is a genius, this time for getting rid of Brassard, even though Rutherford is the guy responsible for him being in Pittsburgh. 2) This is a salary dump for Florida, with Brassard and Sheahan both coming off the books at end of season. 3) It’s basically a wash capwise for this season, so Pittsburgh is safe there. 4) GMJR must have seen something special in Bjugstad and McCann that Florida wasn’t getting. Because neither are top-6 forwards on either team. 6) …when the Pens inevitably decline (and that day is rapidly approaching), is Rutherford still going to be hailed as the world’s foremost hockey GM super-genius? Plus Ian Cole and Ryan Reaves. I see the keyboard GM’s know more than hanging Stanley Cup banners. As always. In the course of this season, Rutherford has gotten Bjugstad (26), Pearson (26), McCann (22) and Pettersson (22) to reload the pieces of a championship core and it cost him expiring contracts, a few midround picks and a player his coach was never going to play. I don’t think that’s what should be considered “genius”. Even with ignoring what he had to give up for Brassard, he essentially traded average players and replaced them with younger average players? And it’s not even clear that the Penguins are upgraded today when compared to the Hagelin/Pearson trade. He’s a genius for making moves while the window is still open. Pens fans knows the day is coming when Malkin is moved and the rebuild begins. The thing with Bujstad is he is a center, same with McCann. 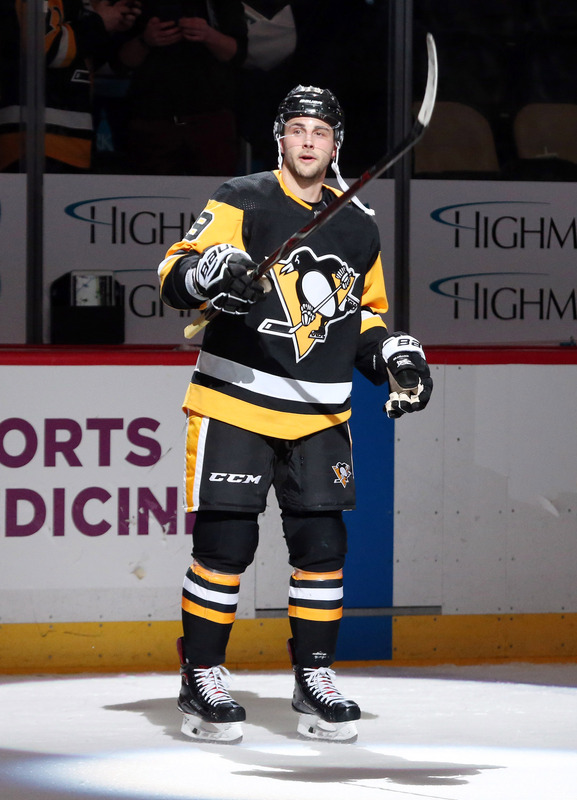 Brassard never fit with the Pens no matter what line they put him on. His value was as low this year as it was high last year. I wouldn’t be shocked if Brassard is flipped and same goes for McCann.